I love to come up with new ideas for my daughters’ American Girls and Bitty Babies. My 3 year old has just recently started playing with all her babies and pretending to be a mommy. She’s learning to dress them. I thought adding some winter accessories while it’s still cold this winter would be fun. 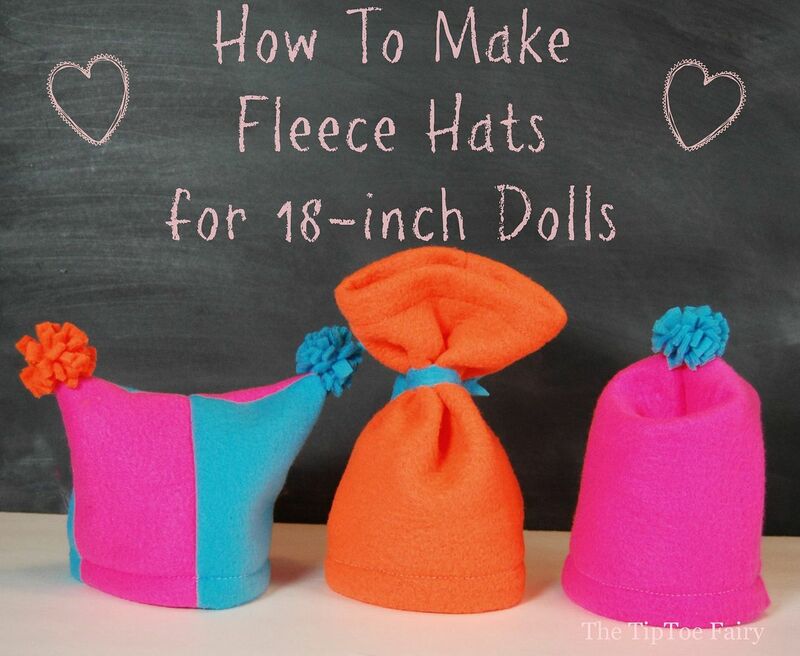 One winter accessory that are super easy to make are fleece hats. 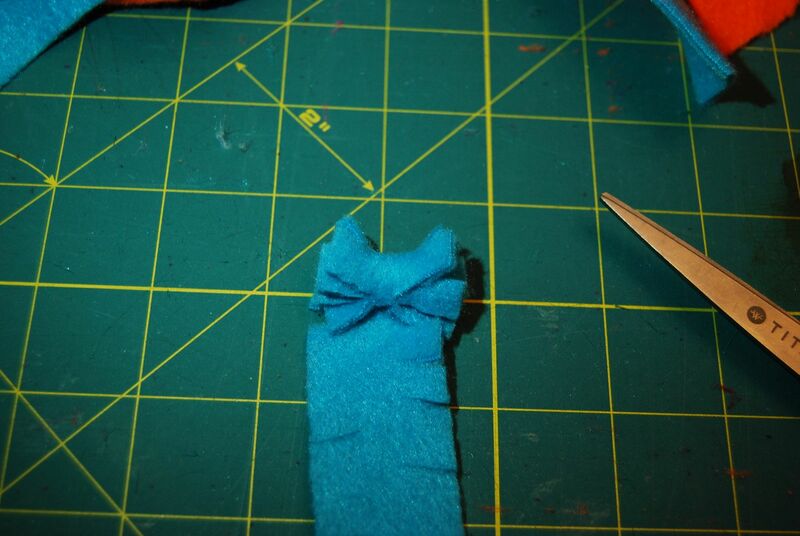 It only takes scraps to make doll-sized ones, which is great to use up any scraps you have leftover from other projects. 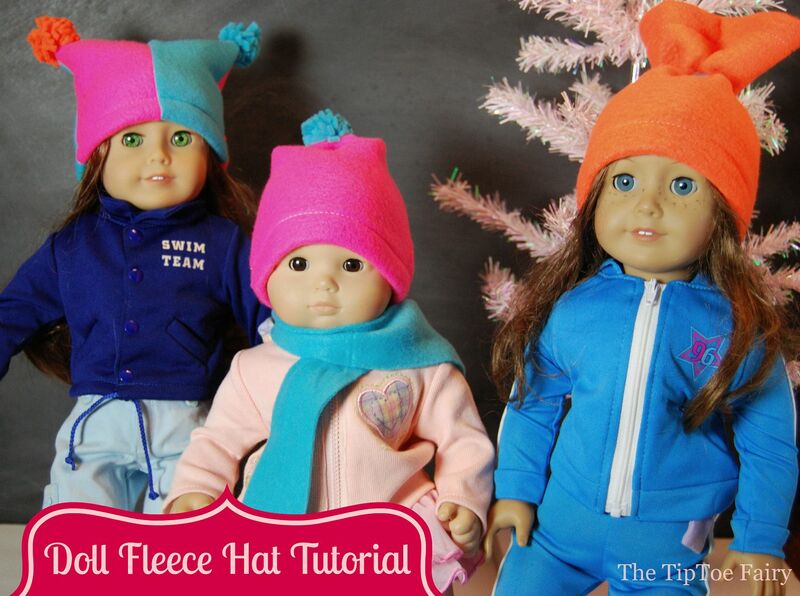 Now I bring you the Fleece Hat Tutorial for American Girl! 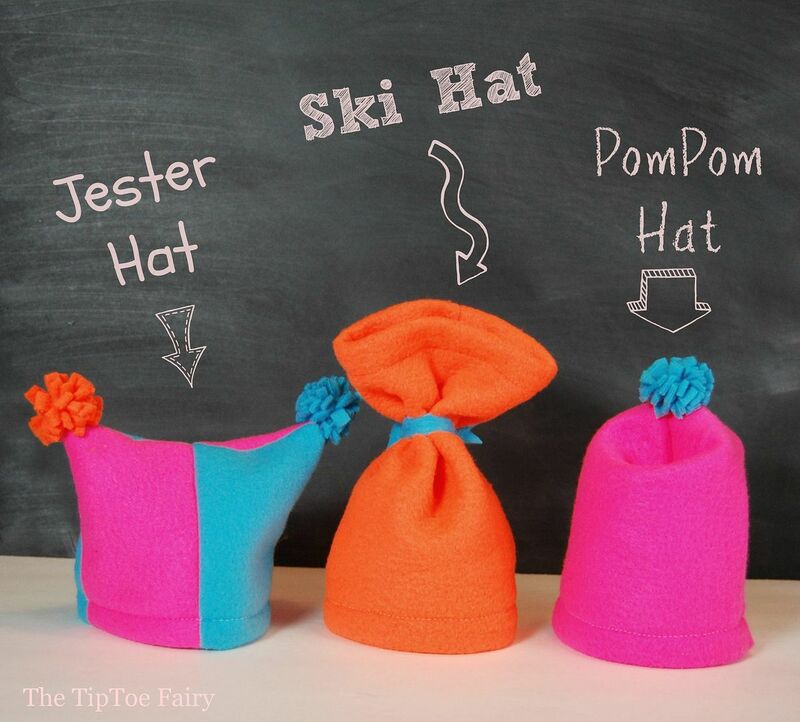 This tutorial will show you three different hats to make. Measure your dolls head circumference and crown length. For an American Girl, the circumference is 12 inches, and crown length is 3 inches. 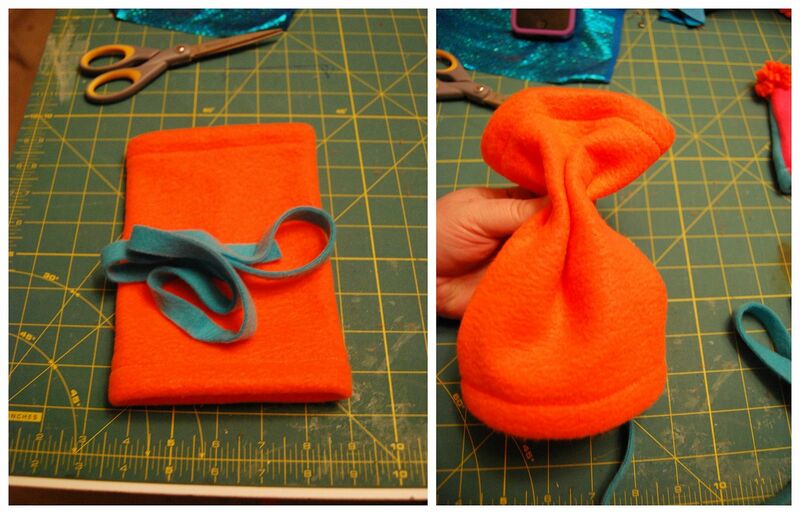 Using this measurement and since fleece has stretch, you can create your own hat pattern. 1. Cut a 6 inch x 1 inch wide strip of fleece. 2. 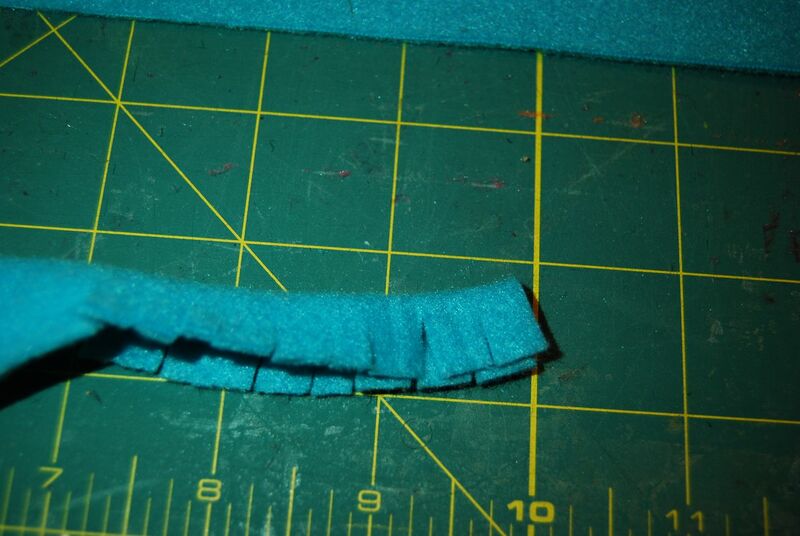 Fold the strip in half lengthwise and make cuts along the entire length without cutting through the middle, like pictured. 3. Stretch the strip lengthwise and begin rolling it up. 4. 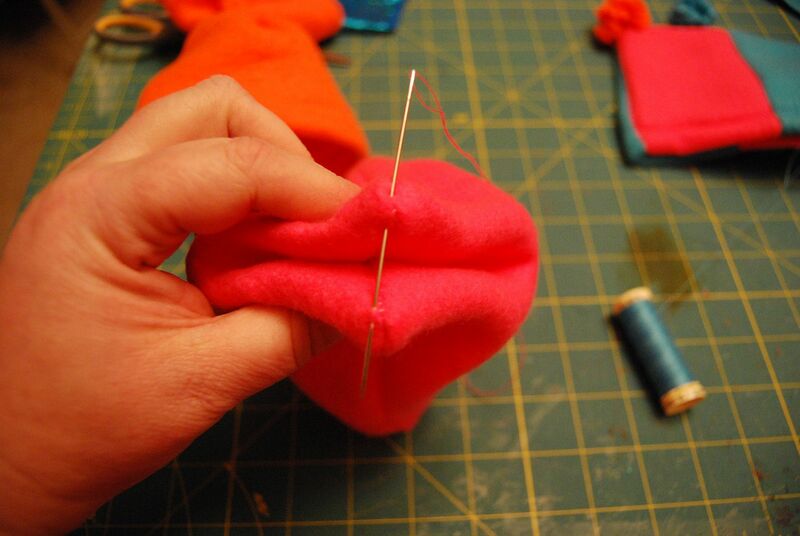 Once it’s rolled up, with a needle and thread sew the lose end closed. 5. Fluff the pom pom. 1. Cut 4 pieces of fleece 6 x 3.5 inches. Cut 2 of one color and 2 of another color. 2. With right sides together line up one color of each and sew together. Do this for both sides. These will form the front seam and back seam. 3. 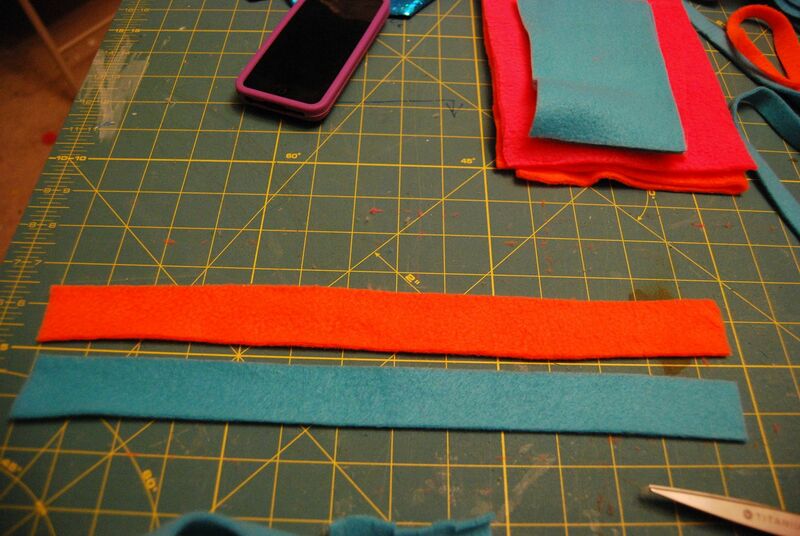 With wrong sides together, line up those two pieces with opposite colors on each side and sew the side seams. Then, sew the top of the hat closed. 4. Hem the bottom of the hat and then flip right side out. 5. 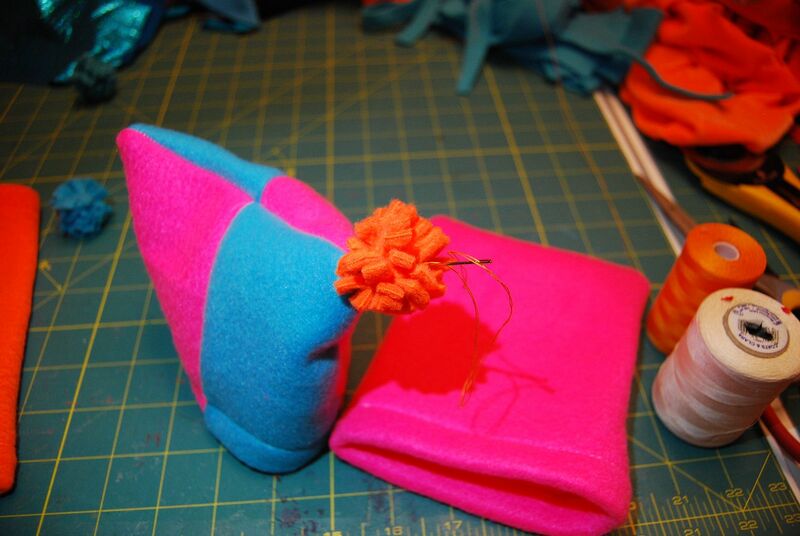 Make two pom poms. 6. Attach a pom pom to each of corner. 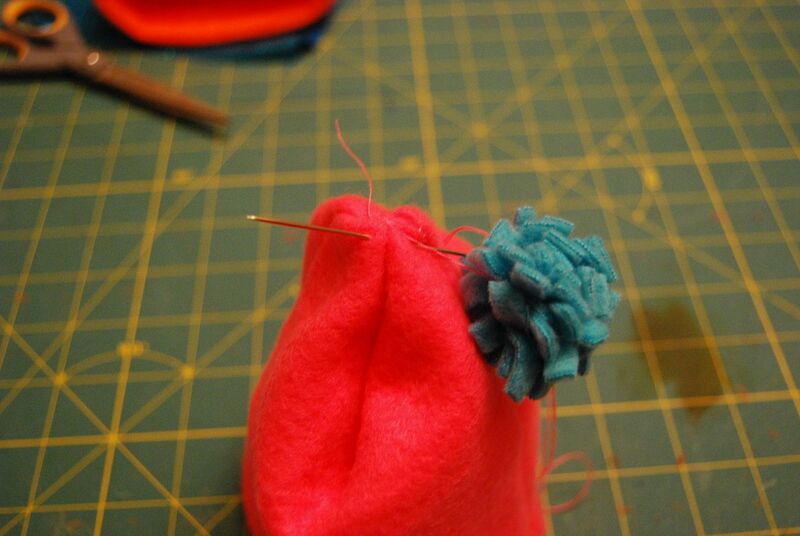 Insert the needle through the inside of the hat through the corner to attach the pom poms. 1. Cut a piece of fleece on the fold 6 inches wide x 8 inches long. This way when you open it up, it’s 12 inches wide. 2. With wrong sides together, sew the side seam closed. 3. Hem both the bottom and top of the hat so have a tube. Flip right side out. 4. Cut a contrasting piece of fleece 20 inches long x 1/2 inch wide. 5. About 2 to 2 1/2 inches from the top wrap the contrasting piece of fleece 2 times around and then, tie it off in a knot. Trim the edges. 1. 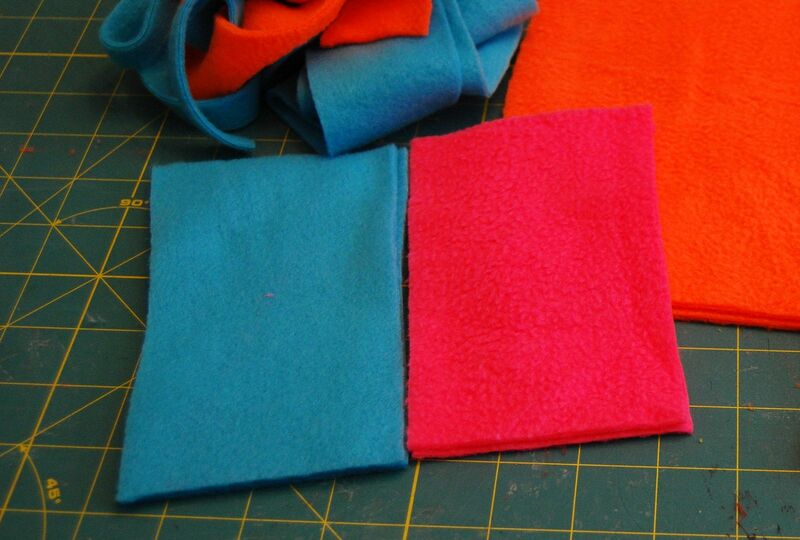 Cut 2 pieces of fleece 6 inches wide x 7 inches tall. 2. With right sides together, sew both side seams and the top seam. 3. Hem the bottom edge of the hat. Flip the hat right sides out. 4. Take the top corners of the hat and bring them together and hand sew shut. 5. 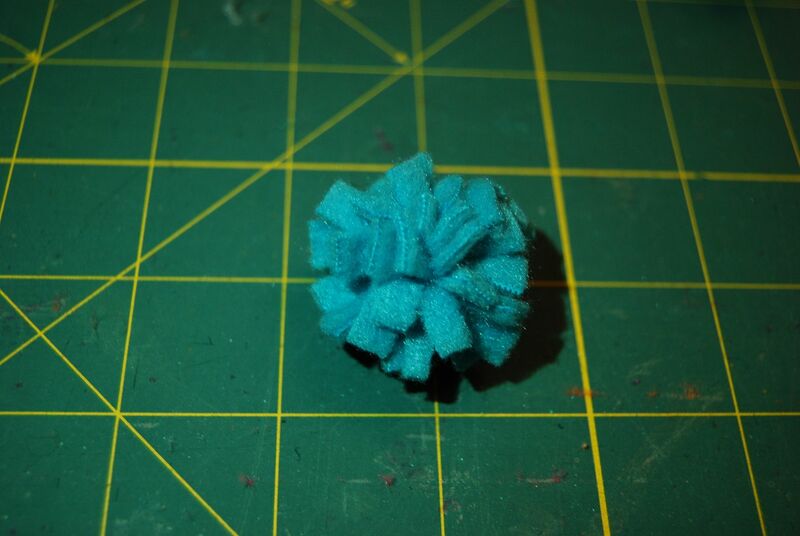 Make a pom pom and attach to the top of the corners. Those are so stinkin’ cute! I especially like the jester hat. I’m going to show my daughter this tutorial. She will have great fun making the hats. too cute! I will have to make a few. Great tutorial! 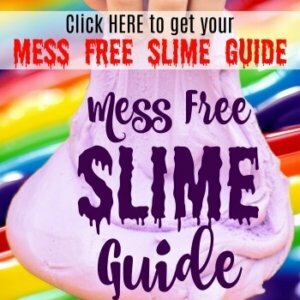 Wonderful tutorial that’s easy to follow. Looks like a fun project for a cold day indoors! My daughter will love these. Those are super cute! My daughter would love a few of those for her dolls. Thanks for sharing! This is such a great tutorial! I think I’ll have my 7 year old try this one. 🙂 Sharing everywhere! These are adorable. Can’t wait to give this a whirl! !